BOULDER, Colo. (AP) – Authorities are searching for eight people who didn’t evacuate a wildfire in the foothills near Boulder. Sheriff’s Cmdr. Rich Brough said Wednesday that 20 people were initially reported missing and 12 have been accounted for. The remaining eight haven’t been accounted for. It’s unclear whether they were in some of the 53 homes that have been reported destroyed so far. Authorities are following up with family members of the missing and checking homes in the fire area. Firefighters now say mapping shows the blaze is burning on 6,168 acres, about a thousand acres smaller than they had thought. 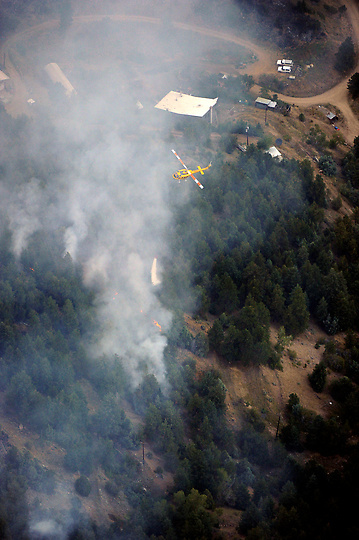 Seven of the country’s 19 heavy air tankers have been sent to Colorado to fight the blaze, considered the nation’s top firefighting priority.